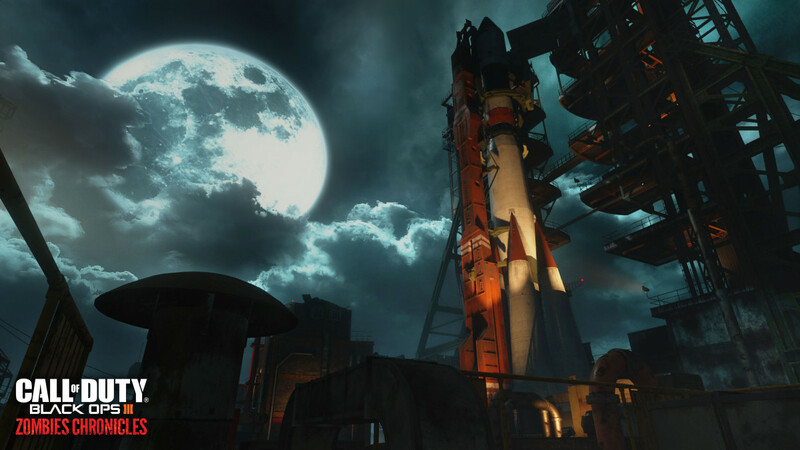 Kino Der Toten is a remastered map on Black Ops 3. 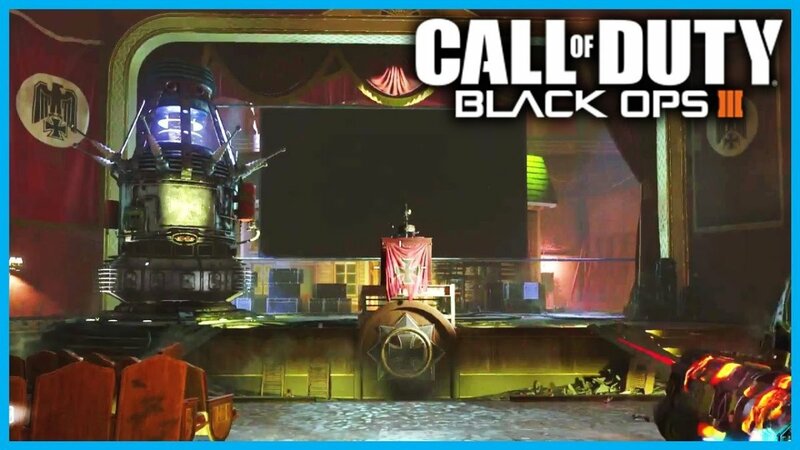 Originally, Kino Der Toten was a zombie map released in the 2010 video game Black Ops 1. 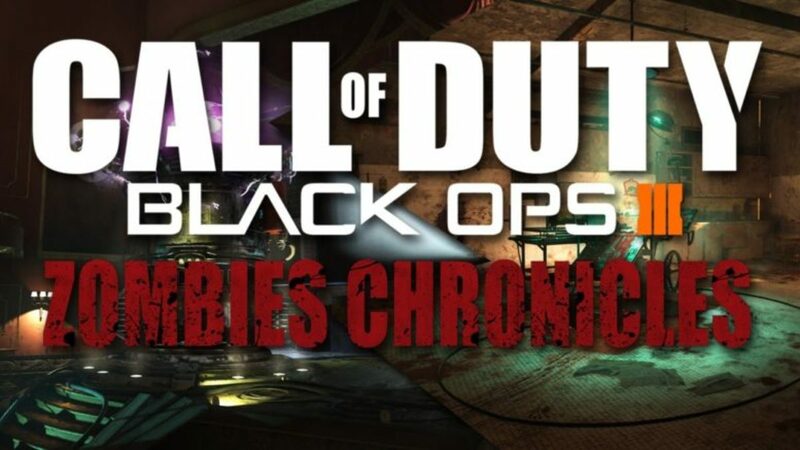 Several changes have been made to the map like graphical enhancements & the ability to use gobblegum machines. Because of all the updates; it may be easier to get to higher rounds. The strategy discussed in this article will work on solo or coop, but it may not work as well if your team mates do not cooperate. 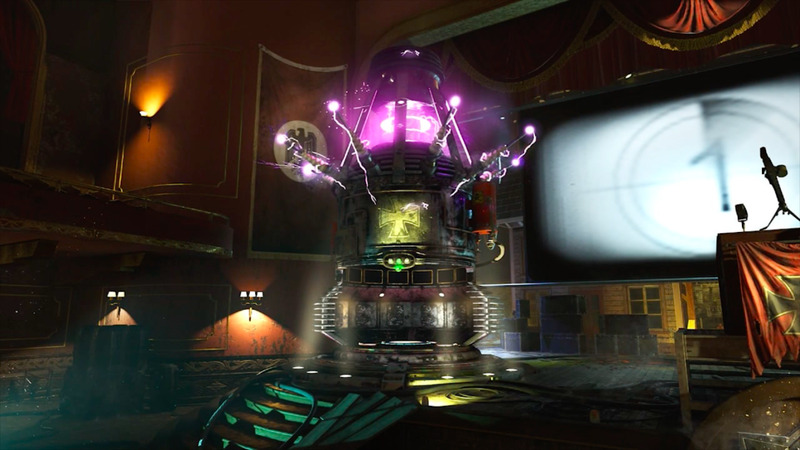 One of the main objectives in Kino Der Toten is to turn on the power. The power can be turned on in the theater stage area. The power is a switch that when turned on will allow you to buy perks, use traps, and use the teleporter to pack-a-punch (upgrade) weapons. The theater stage is a fantastic area to create a zombie train. For those unaware, a zombie train is whenever a large group of zombies are following behind you; making it easy to to turn around & shoot them all for easy points and kills. Only so many zombies will spawn at once on a map. It's possible to have all the zombies in one group behind you; preventing the possibility of getting surrounded & overrun by large groups of zombies. A good strategy on Kino Der Toten is to create zombie trains in the theater stage area. I'll explain some vital tips on how do it the ideal way. When you first spawn, shoot the zombies with the pistol then knife them on the first couple rounds. You earn a lot more points for knife kills. Each stab gives you 10 points and each kill gives you 130 points! ideally, you'll want to get to the theater stage by opening the door on the second floor in the spawn room, then opening each subsequent door until you reach the theater stage. 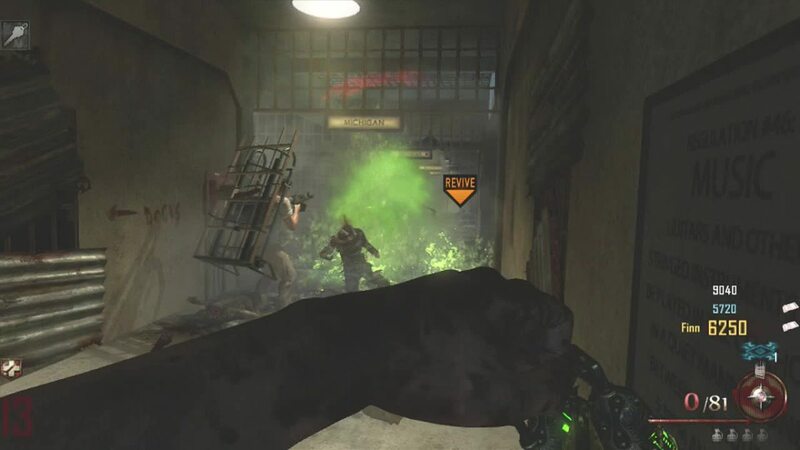 I would not suggest opening the door on the opposite side of the theater stage (near the ICR-1 wall weapon) because zombies will be able to get through; possibly making it more difficult to run around the stage. The theater stage is a great area to run around in because it's a wide open area that allows you to group up zombies and create a zombie train. What makes it even better is that you can continuously buy the ICR-1 assault rifle off the wall for ammo. And the KN-44 is in the dressing room nearby. You could use that as well. In the earlier rounds, it may not be necessary to run around in circles on the theater stage cause there's less zombies per round and they are weaker. 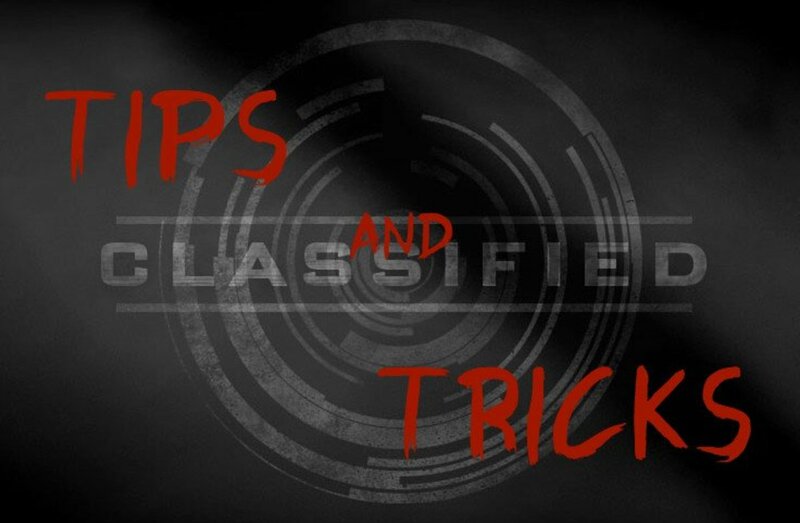 Make as many points as possible by using either the ICR-1, KN-44, or a weapon from the mystery box. Ideally, you'll want to go for headshots for more damage and points. There's a wonder fiz machine on the theater stage. If you get lucky, you can randomly get the deadshot daiquiri perk which makes it extremely easy to get headshots. Also, make sure to get the juggernog perk which is located across the theater stage. Once you make it to the higher rounds, upgrade the ICR-1 using the pack-a-punch machine. You have to use the teleporter that is in front of the theater stage. The reason it's a good idea to upgrade the ICR-1 is because you can buy upgraded ammo for 5000 points on the theater stage area. This is an excellent strategy because you'll never run out of ammo as long as you have points! And it's easy to purchase ammo for it when running around the theater stage creating zombie trains. 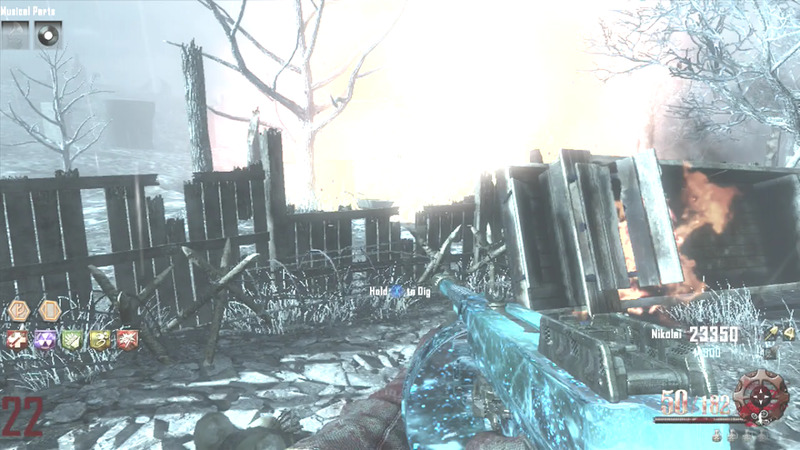 If you really want to make it to high rounds on Kino Der Toten; then the Thundergun is extremely useful. You can get it out of the mystery box if you're lucky. The Thundergun is very good because you can wipe out entire groups of zombie train groups on the theater stage. Simply run around the stage in circles until you have a dozen or more zombies behind you, then fire the thundergun at them; killing them or knocking them down & damaging them. You won't make as many points this way, but it can kill zombies faster. Additionally, the Thundergun can save you if you have too many zombies blocking your path. If you want to save ammo (or are running out), you can spend points & use the machine gun turret that will automatically shoot at zombies. It's located right on the theater stage which it easy to utilize when you're creating zombie train groups. Also, you can make use of the electric traps nearby. There's one in the dressing room by the stage and another electric trap across from the stage (near juggernog). These traps are excellent for killing large groups of zombies. Just remember that the electric traps can hurt you. A great way to kill hordes of zombie trains on the stage is by using upgrades on weapons like fireworks or turned. Fireworks is amazing because you can shoot a few times & eliminate an entire group of zombies following behind you! This will save you ammo & it increases the chance of surviving into the higher rounds like 30, 40, 50, or higher! Turned is also good because it will make a zombie fight for you and destroy other zombies. The downside is that you won't earn points or kills so keep that in mind. Use the pack-a-punch machine on an already upgraded weapon to get special enhancements. 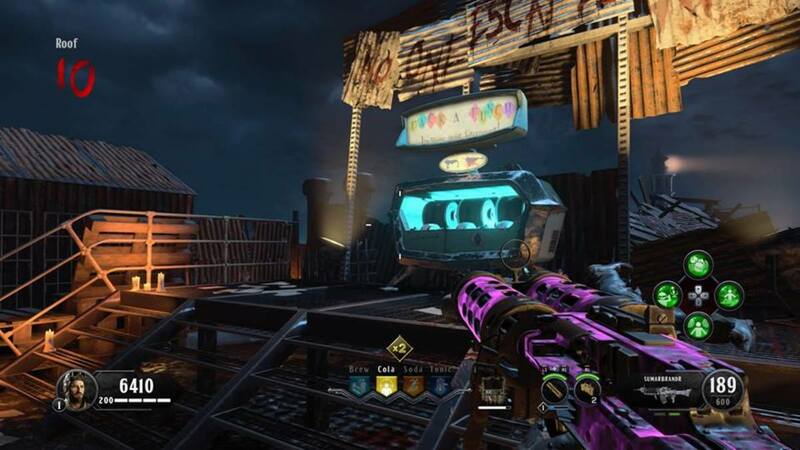 I'd suggest using the "in plain sight" gobblegum when running zombie trains on the theater stage. It's good to have because zombies will not attack you for 10 seconds when you activate it. It's useful for reviving other players or using it when you need to buy a perk like juggernog because it buys you time. Additionally, the "in plain sight" gobblegum can be purchased an unlimited number of times.